After our crypt incursion in Nagcarlan we proceeded to the "Tsinelas" town of Liliw, Laguna. The place is filled with stores selling the weapon of choice against cockroaches and other bugs, shopaholics like my friend Cathy will have a grand day choosing from the thousands of pair of shoes and slippers here. She was like "I'll end up buying three pairs a day here". Okay, from that rate, she'll become the next Imelda Marcos in 3 years. We were starving when we arrived at around 10:00 am so we walked directly to Arabela, a small with low ceiling, family owned restaurant owned by Mr and Mrs. Camello and was named after their daughters, Ara and Bela. It is known for its sweet savoring cakes, tongue-lashing (in a good way) pastas, mind-blowing pizzas and other chicken and steak dishes. It was still closed when we got there, so we decided to drop by nearby Saint John the Baptist Church, which is distinctly known for its red brick facade. We walked along the main street which were occupied by shoe stalls on both sides. Most of the houses were nicely designed, with some still regaining its old heritage look. Everywhere you look there's footwear here and there, Yano's song "tsinelas" keeps playing inside my head. I wonder if Mang Kulas got the tsinelas he sold to a young and soon to be rock God, Dong Abay here. The sky was still cloudy and I figured the rains from Nagcarlan earlier in the morning has chased us to Liliw. We don't mind at all, we just kept walking with the occasional trudging from one shoe stall to another as Cathy can't make her mind which to buy from among the millions of choices staring back at her. In the end she settled for two, or was it three of four pairs of shoes and a pair of slippers. We walked inside Saint John the Baptist Church and found it darker inside, in stark contrast with the its bright red facade. The sunlight seeping through its windows supplies just enough rays to create a holy vibe inside. The church was first constructed in 1606 when Liliw was still known as "Lilio" and still part of Nagcarlan. Like all churches of those times, It didn't escaped the wrath of the forces of nature, as majority of it was severely damaged by an earthquake in 1880. The church is located atop a small hill, reminding me of a similar hilltop church, the Our Lady of the Gate Parish Church in Daraga, Albay. Inside, one can see the pulpit in still good condition. I always check out the pulpito in each Spanish era Churches I visit. I always imagine - during the old days when the priest would use it to announce a very pressing matter to the towns folk or make a special sermon. The facade was really magnificent, the red bricks with small lichens in between creates an old hollowed appearance. Again, we were starving already so as we made our way back to Arabela and I try to steer Cathy away from checking out some of the stalls again for the thousand time. We finally made it just as Arabela was starting to open. A number of diners were already outside itching to go inside and see if the buzz surrounding this place is legit. We wasted no time finding it out for ourselves as Cathy did the honor of ordering our food, since I sucked at life changing decisions such as ordering food. We had T-bone steak, a certain kind of pasta, chicken vegetable salad and pudding for dessert. So Minnie Driver and Gambit (Wolverine to some) finally had their first meal of the day and it was everything but simple. We gorged on our plate like it was our last meal heading out of death row. It was a good way of capping our Laguna weekend which started in San Pablo the day prior. What makes traveling even on a weekend great? 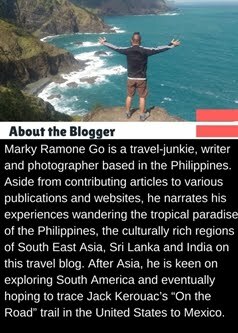 new places, food, strange towns that becomes familiar, the un-bloggable stuff :)) and everything in between. I plan to explore the rest of Laguna province more in the coming weekends.